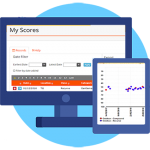 Golden Records Online enables your club to store your archery records in the cloud, and access them from anywhere without having to manually copy files from one PC to another. You can share club records with your members, and give club officials access. Members can submit scores online (optional) and handicaps and classifications are automatically updated. 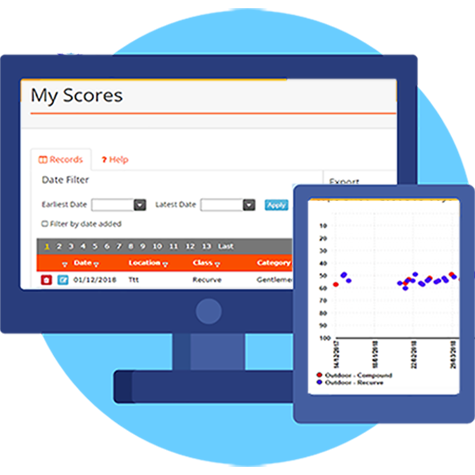 Golden Records Online is a full-featured online Archery Records management system. 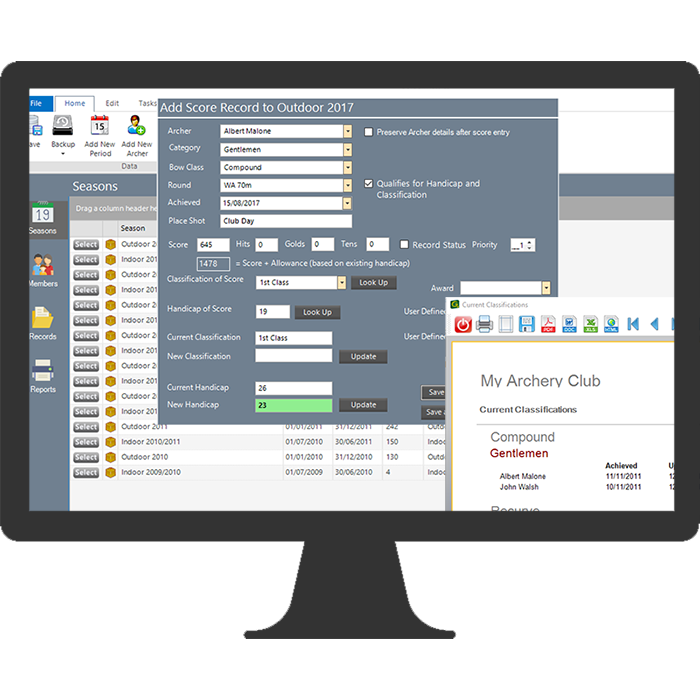 Golden Records Online enables your club to store your archery records in the cloud, and access them from anywhere without having to manually copy files from one PC to another. You can share club records with your members, and give club officials access. Members can submit scores online (optional) and handicaps and classifications are automatically updated. The system enables members and records officers to reduce the workload of keeping their records up to date. No more bits of paper, no more chasing, no more asking the records officer for current handicap and classifications. Your records are up to date and accurate. You can also grant web access to the club records for members of your committee, or your team captain. Your members are better engaged with performance, and the workload on busy committee members who would rather be shooting is reduced. 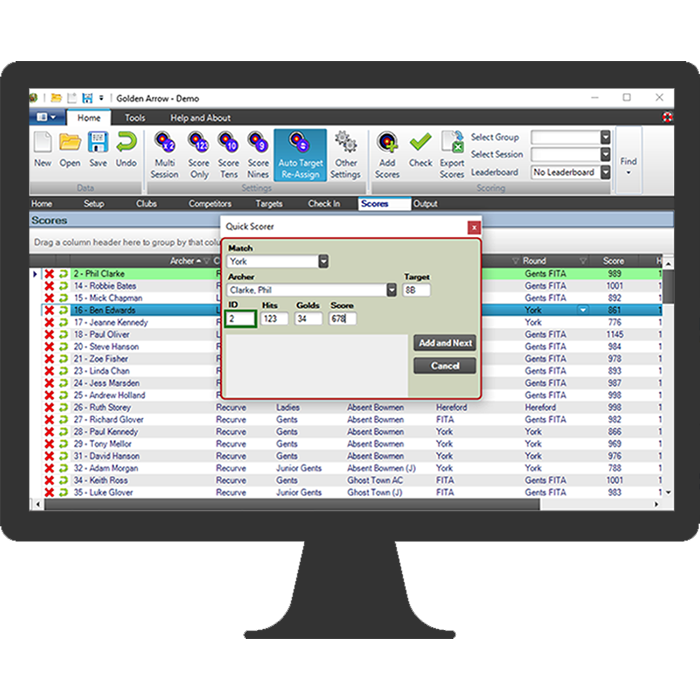 Combined with Golden Records Desktop software it allows data to be synchronised between different PCs running Golden Records Desktop, and scores submitted online are downloaded into the software. Data managed in Golden Records Desktop is uploaded to the cloud for viewing by your club members and/or club officials.